Learning is a very powerful tool – but don’t just take our word for it! Peter Carne Chief Executive Officer (CEO) and the Public Trustee of Queensland talks about his experience of working with QUTeX. 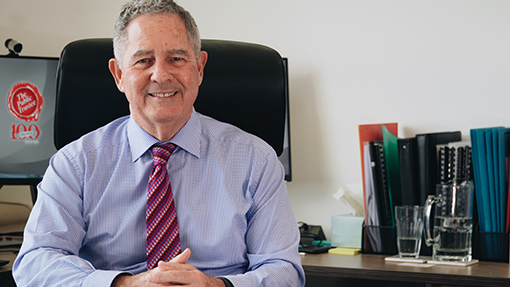 I recently caught up with Peter Carne, the Chief Executive Officer (CEO) and the Public Trustee of Queensland. In this role, he oversees more than 600 staff across 15 regional offices. One of the things I quickly realised, is that, despite holding such an important position, Peter is a particularly friendly and approachable person, who is passionate about what he does, and is inspirational in his approach to personal growth, as well as organisational growth. You know it in your gut. You’ve experienced it on several occasions – the blush of undergoing a leadership intensive, only to return to the workplace, and find yourself slipping back into the habits of a lifetime – the “same ol’; same ol’.” You know there is a better way, but you can’t muster what it takes to make it happen.